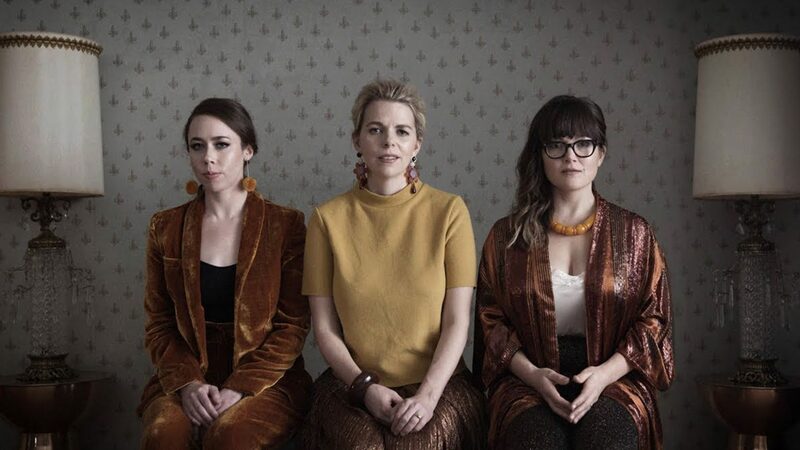 We’ve been following the extraordinary musicians from I’m With Her for some time, and are thrilled to finally welcome the group to the Chan Centre stage this fall. They’ll be here to perform gorgeous tunes off their debut full-length record, See You Around, which the band had the good fortune of recording at Peter Gabriel’s Real World studios in the UK countryside along with famed producer Ethan Johns. Keep reading to learn more about this incredible trio. 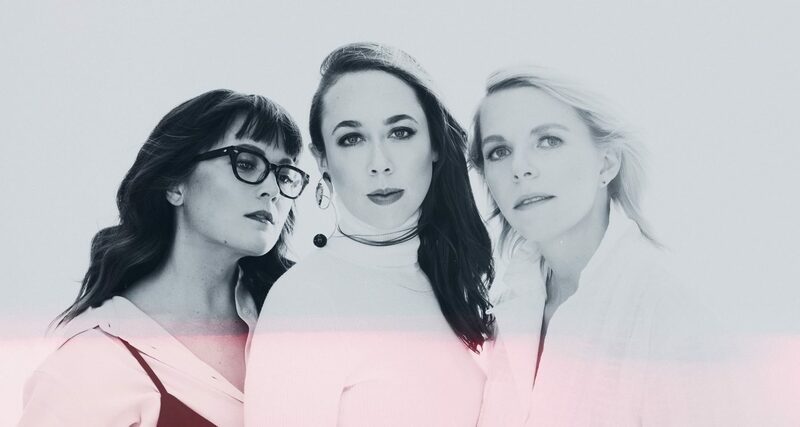 Sarah Jarosz, Aoife O’Donovan, and Sara Watkins have been running in the same circles since their teenage years, when each was taking to stages in the folk festival circuit with separate projects. 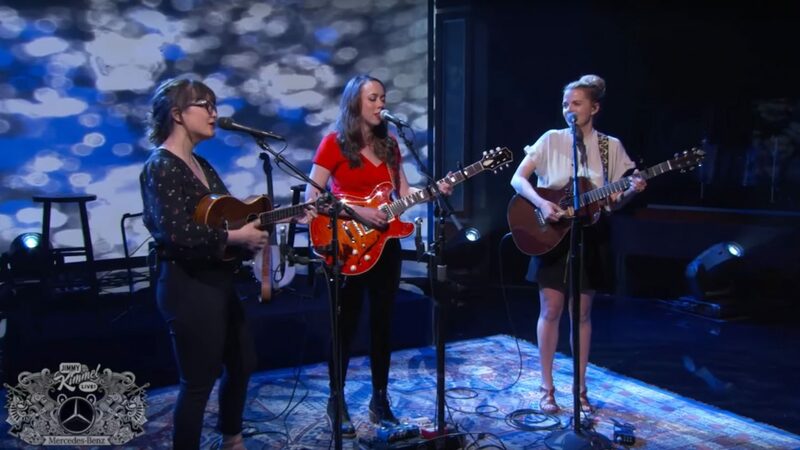 Jarosz had made a name for herself as a solo artist, known for masterful mandolin playing and partnerships with musicians like Chris Thile and Stuart Duncan. O’Donovan is perhaps best known for her time as the lead singer for the band Crooked Still—alongside founding members Corey DiMario, Rushad Eggleston, and Gregory Liszt, and later Tristan Clarridge and Brittany Haas—a group that toured extensively across the US, but was especially well-known in the Boston area. And from a very young age, Watkins played fiddle in the acoustic trio Nickel Creek, who spent much of the 90s (and much of the members’ childhoods, including mandolin virtuoso Chris Thile) as staples on the bluegrass festival scene. Together they have recorded nine solo albums, and appeared on countless recordings of other esteemed folk artists. So, they’d run into each other over the years, and had often looked to one another for inspiration. 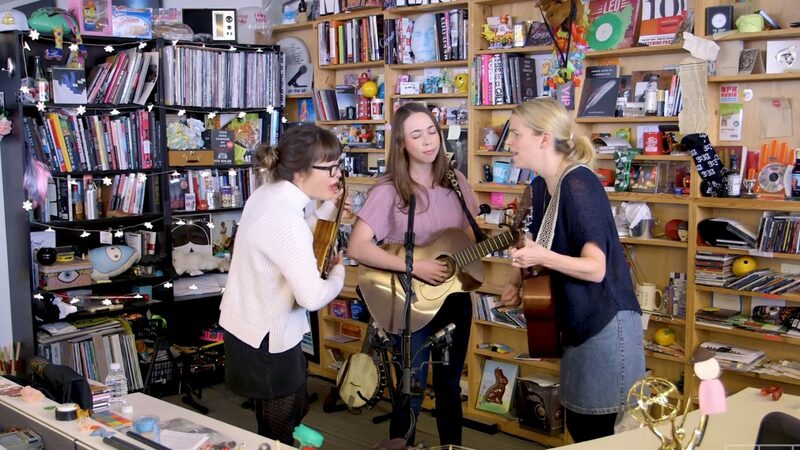 But it wasn’t until the lead up to an impromptu 2014 show at the Telluride Bluegrass Festival that the three women came up with an idea: let’s form a band. If you do the math, you realize the group’s name preceded the movement aligned with a certain US presidential candidate, and that doesn’t bother them. If anything, the association adds meaning to the ethos behind their own origin – equality and togetherness. The rest, as they say, is herstory. I’m With Her having been taking not just the folk scene, but the music world, by storm. In the first half of 2018, they’ve landed appearances and performances on Jimmy Kimmel Live, NPR‘s Tiny Desk series, countless podcast episodes and radio spots, not to mention gracing the cover of The New York Times‘ Arts section, which lauded the band’s “gentle, perfectly blended harmonies” and “subtle show of mastery”. "Together their sound is both ethereal and purposeful, a combination of searing musicianship and tender vocals." Even as their families grow (Both O’Donovan and Watkins have little ones), the group is showing no signs of slowing down. Their Overland Tour is a substantial one—lucky for audiences across the US and Canada—and ongoing until the end of this year with a few short breaks. Their music is full of lush, ethereal harmonies and virtuosic string playing on the fiddle, guitar, and mandolin. See You Around features a breadth of sonic elements, taking listeners on a journey through bittersweet ballads, wistful harmonies, and percussive expressions of strings and vocals, like those on “Game To Lose”. The album’s writing is a beautiful meditation on all facets of life, every track penned by the musicians themselves, save for the closing song “Hundred Miles”, where lyrics are credited to the fabulous Gillian Welch. It’s a stunning collection, reminiscent of the genres all three women grew up cherishing, while embracing a whole new world of songcraft and risk-taking musicality that has been capturing lots of attention—including ours. We can’t wait to hear their sublime sound in our hall this September. BUY TICKETS FOR I’M WITH HER, Sunday September 30th at the Chan Centre.